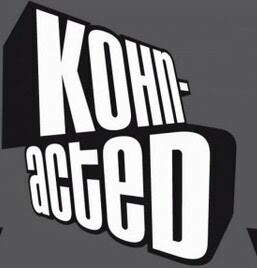 Kohn-Acted are: Henri Kohn DJ, Songwriter Miss Ann-P Singer – Songwriter - Arranger Vincent Kwok DJ, Producer How Kohn-Acted got connected Henri Kohn and Vincent Kwok had worked together in the past, due to a release of Vincent Kwok on the Soulstar label. In summer 2010 Vincent Kwok, Miss Ann-P and Henri Kohn met during a gig in Calabria, Italy and as the chemistry between them was right, or to quote Vincent Kwok: “erste Sahne”, the project Kohn-Acted was born. www.inthezone-music.com · www.facebook.com/kohnacted Henri Kohn Born in Washington D.C. and raised in Cologne Henri Kohn had his first dj gig by the age of 17. Soon he had his first residencies at various clubs in Cologne, playing Chicago and Detroit influenced sound. Since then Henri has become a pillar of the house scene in Germany and has taken the step quickly up to the international DJ circuit and played all over Germany, Poland, France, Spain, Greece, Russia, Switzerland, Poland, Italy, Denmark, in the U.S. and the U.K, including gigs at clubs like Ministry of Sound (London), Space, Pacha, El Divino (Ibiza). To him House Music is a Healer that brings people from all cultural backgrounds together on the same dancefloor to have a good time. He is known to bring people in the Zone with his skills of reading the crowd and picking the right record at the right time. He is also the A&R of Clubstar & Conya Records and known for his tasty compilations like “Fashion House”, “Clubstar Session”, “Candle Lounge” and his newest shot “In Love with Ibiza Vol.1”. Check his radio show on Ibiza Global Radio (sundays 15.00 CET). www.inthezone-music.com www.listn.to/henrikohn Miss Ann-P more than just a pretty face… is the message and certainly expresses best that there is huge talent besides her stunning beauty. A voice filled with soul, emotion and power. On top of that Miss Ann-P is a busy and successful Songwriter & Arranger. She was born in Poland and raised in Germany. By the age of 15, she started taking lessons at Starlight Express in Bochum where she experienced the real vibes of the professional stage for the first time. After that she performed as lead and backing vocalist with various bands & projects and was also a popular dancer for events throughout Europe & tv shows. Keeping her voice in shape by taking lessons from the vocal coach Robert Bicknell from London (Natalie Imbruglia, No Angels…) she has also developed a powerful & confident stage persona & charisma. Since 2000 she is writing her own songs and is working with international djs/producers, mainly from the house/dance scene, from countries like South Africa, Portugal, Spain, Italy, England, Germany, Denmark and Russia. Her current single „I Wanna“ (with United Sounds of Italy) is out on Vidisco (PT) and was licensed to labels like Kontor & Spinnin Records. - full discography on request - www.inthezone-music.com www.listn.to/missann-p Vincent Kwok Raised in Perth, Australia and breaking through as a top house music/electronica producer and DJ in San Francisco, Vincent Kwok is truly a musical citizen of the world. Establishing his behind the boards cred with massively popular remixes for everyone from underground artists Arnold Jarvis, Morrisson, Latrice Bennett and Lisa Shaw to top R&B stars like Pauline Henry of the Chimes (“Heaven”), Kenny Lattimore and Usher (“You Remind Me”), the versatile keyboardist has become a multi-faceted musical force as an artist, producer, label owner (Eight-Fifteen Records) and in demand live DJ. Vincent cut his teeth as a touring musician in a series of cover bands and original groups while living in Australia. After moving to San Francisco in the mid-90s, soon became involved in the edgy, hard grooving sounds of the burgeoning dance scene by the Bay. Learning from his experience in other genres the ultimate value of great song-writing, he believes that the key to success is the ability to write memorable melodies in addition to creating explosive beats.